I haven’t been away from Shanghai for that long but it feels as though I didn’t live there for a year. Kind of like when you return from a trip and the next day it feels like a dream. As I reflect on the fastest year of my life, these are the things I’ll miss the most. I would take a taxi to work for no joke $2.85. I lived in the French Concession and worked in The Bund area, all the way across town, usually sitting in traffic, and it never failed – it was only a few dollars. Talk about great value! Since I was little, I always wanted my clothes made. I would imagine bringing a picture of a designer coat to someone who would measure me and make it happen for a fraction of the cost. 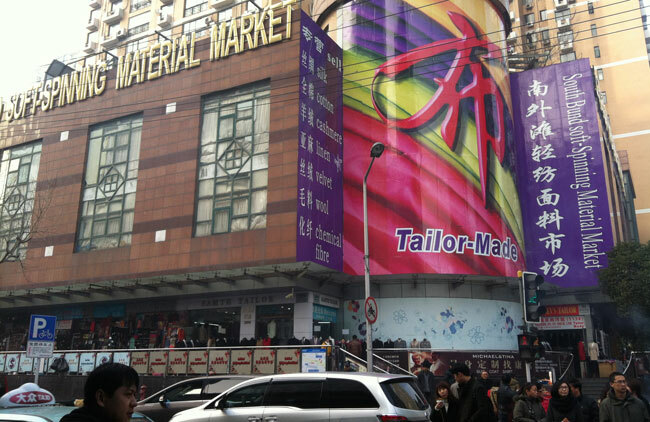 My dream came true at the South Bund Fabric Market. I benefited from living in Shanghai and having access to it year round, because it’s actually hit or miss. Sometimes they make it bang on, and other times your item has to be re-worked. Sometimes you can barter a good price and other times they won’t budge. It takes practice. I got practice and great clothes. We all know that the Chinese takeout we get in Canada is NOT real Chinese food. I don’t get it! Why don’t they stay true to their food? It was a learning curve discovering the different types of Chinese food. 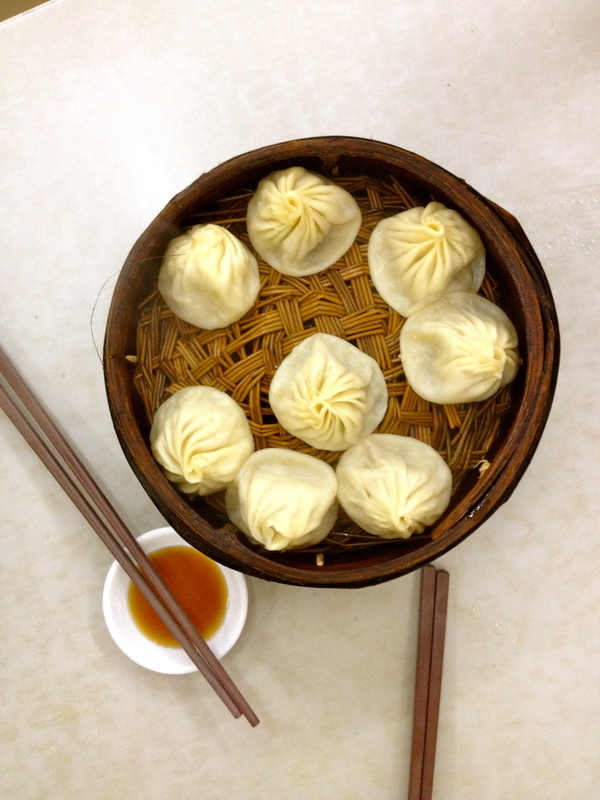 The variety is huge and I will miss the dumplings the most – more specifically xiaolongbao. The most delicious little soup filled dumplings. I’m on a mission to find good ones in Toronto, although I’ve been told I have to go to Markham for the good stuff. 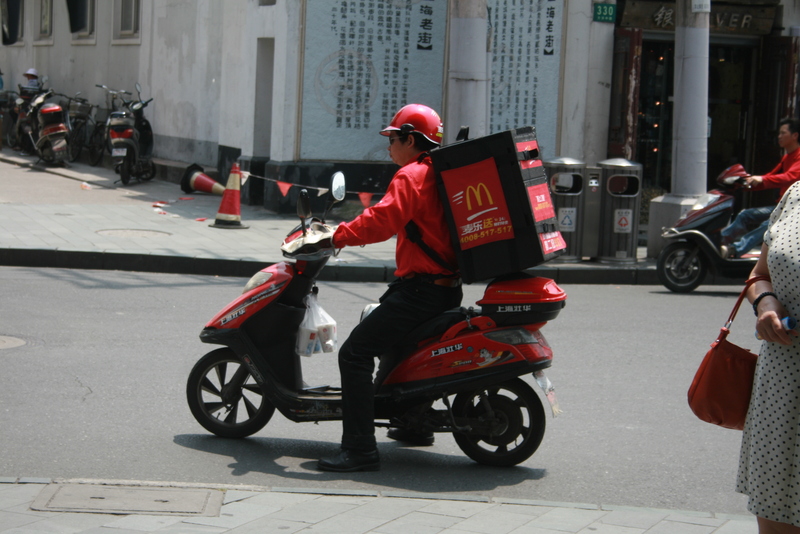 You can get anything delivered to your door in Shanghai – groceries were a big one for me…and McDonald’s blizzards! They would actually deliver one blizzard. The sites were user friendly, affordable, and offered free delivery. I will miss it dearly because grocery shopping is one of my least favourite chores. 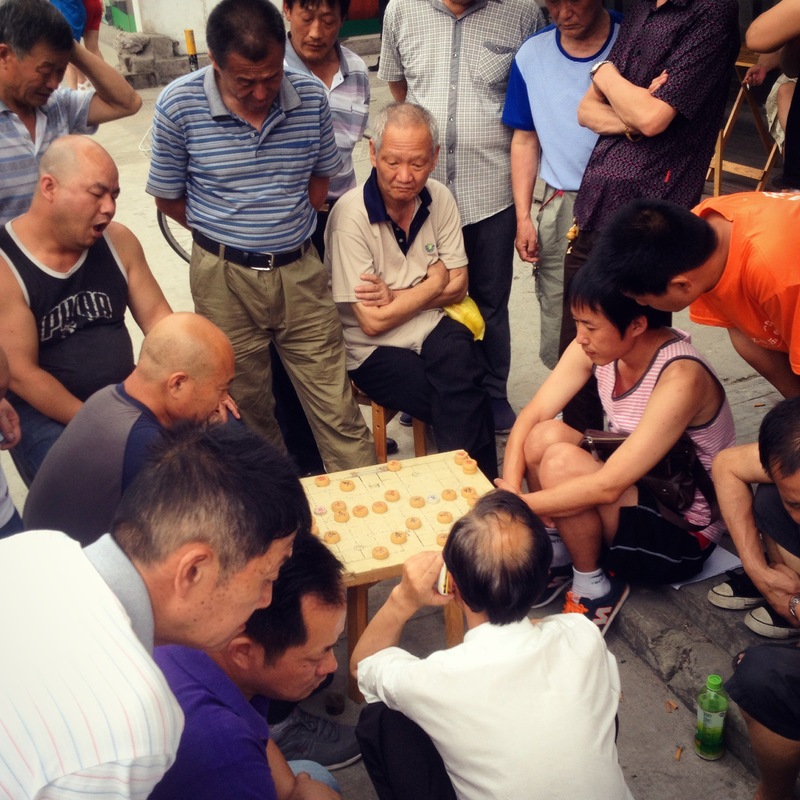 I loved seeing old people dancing in the park and doing all sorts of activities like singing, playing checkers, tai chi, basketball, walking their dressed up dogs, eating, everything happens in the park. It was a spectacle every morning and evening, and especially on weekends. 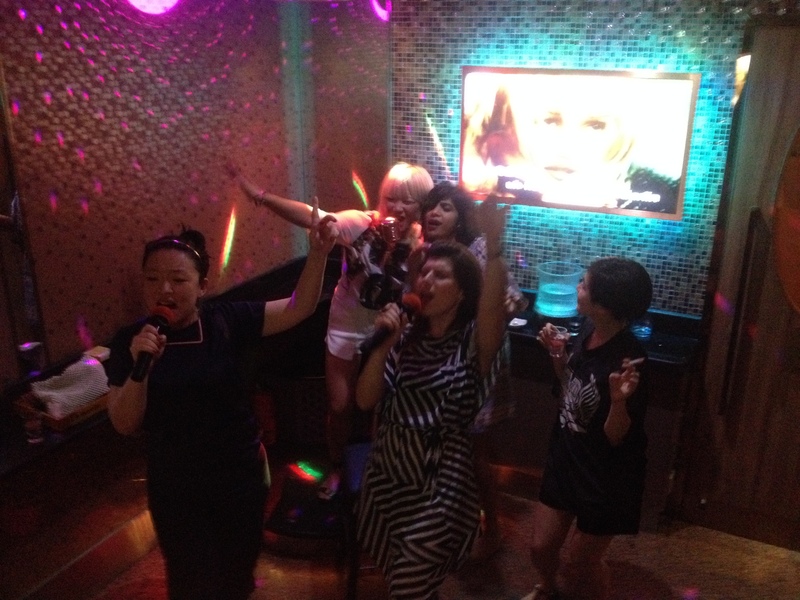 You’ll see KTV signs everywhere in Asia and that means karaoke! It’s not like the karaoke we’re used to in the Western world where you sing in front of the whole bar. No. Not this. KTV takes place in a building with hundreds of private rooms. You need to make a reservation and when you show up, it’s like checking into the front desk at a hotel. They bring you to your room where you can sing your heart out until 7 am. They serve drinks and food and there’s a disco ball. So much fun! I love how you write about your travels and still find a why to bring the content back to your Canadian/Torontonian readers. As a lifestyle/culture blogger from Toronto, I know how important this is. Great work! I look forward to reading more.